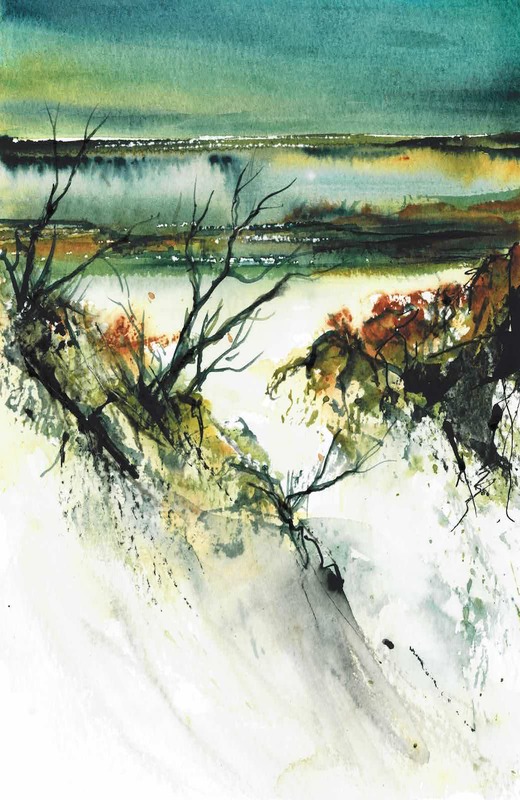 This entry was posted in All things Coastal, art, Art Classes, demonstrations, painting, seascapes, Tasmanian artists, Uncategorized, watercolour and tagged abstracted landscape, coastal scenes, cyan, impressionist art, Langton watercolour paper, limited palette painting, loose style watercolour, painting from the imagination, Paynes grey, Quinacridone gold, sem-abstract, watercolour and ink. Hi Evelyn, I saw this on Facebook but had no time to comment, so am doing so here (hopefully) I really love this one – the colours are very appealing and the subject goes right to my heart. Excellent job Evelyn – I hope you do live to 500! Thanks Ngaire… I admire your art too. Living to 500 would be great… heaps of art time… but I do not want the body to deteriorate any more than it’s rather sad state now.